Isn’t Charlie and the Chocolate Factory just plain fun?! 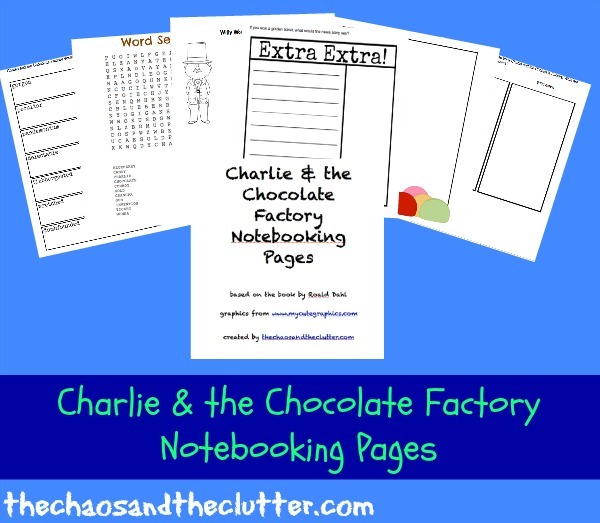 The Chaos and the Clutter made this book even more of a treat by creating a set of Charlie and the Chocolate Factory notebooking pages. In this 15-page printable pack you’ll find: notebooking pages, a word search, a vocabulary words worksheet, and a few writing activities. In addition to the printables, you’ll find several other fun ideas to implement while reading the book!